Evangeline Ruth West Hennessy died peacefully at home in Broussard, Louisiana, on March 29, 2019. A former member of Lafayette Parish School Board and a beloved teacher at Comeaux High School in Lafayette, Louisiana, she was married to the late Jeff Hennessy, professor of physical education at the University of Louisiana and coach of the university’s world-famous trampoline gymnastics team. Ruth – as she preferred to be called – was born on March 5, 1930, in Monroe, Louisiana and graduated from Arcadia High School, where she was voted Most Beautiful and Most Popular. 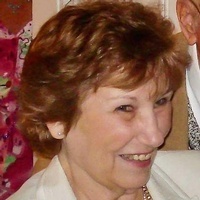 She married Jeff Hennessy in 1952 and moved to Lafayette in 1959 when Jeff accepted a position on the university faculty. While dedicated to her family, Ruth was also renowned for her independence and pursued her own career. She worked in various jobs in Lafayette, most notably with Mallard Well Services and Nergas, was an officer with the Desk and Derrick Club of Lafayette, and was an executive with Chart House (now Landry’s, Inc.). In addition, Ruth worked for Dr. Leon Beasley in the Education Department at the University of Louisiana while earning both a B.A. and M.A. in Education. She received her M.A. in 1984, the same year that all three of her children received degrees from the university. Following graduation in 1984, Ruth joined the faculty of Comeaux High School as the head of the business department. She taught business and accounting and became a mentor for younger teachers, many of whom maintained a lifelong friendship with her. In 1986, Ruth won a seat on the Lafayette Parish School Board. She endeared herself to the other members for her intellect and common-sense approach to education and governing. Throughout her years in Lafayette, Ruth also became a central figure in her husband’s trampoline program, frequently traveling across the United States with the university’s team and internationally with the United States team, which her husband also coached. She was known as the “Team Mom” and was treasured as a surrogate mother to many of the athletes. Ruth and Jeff retired to Myrtle Beach, South Carolina, and Baton Rouge, Louisiana, before returning to the Lafayette area. An avid reader and accomplished painter, Ruth also enjoyed travel and experiencing different cultures, taking particular joy in recent trips to Scotland. Ruth was preceded in death by her husband and by her son, Jefferson. She is survived by her daughters Leigh, who recently returned to Lafayette, and Kay of Phoenix, Arizona, as well half sister Wilma Hosford and half brother Hartland West, as well as by many relatives throughout Louisiana, Texas, and beyond. Visitation for Ruth will be held at Asbury United Methodist Church in Lafayette on Saturday, April 6, starting at 11:30 am, with services following at 1:30 pm; she will be buried at Hasley Cemetery in West Monroe, Louisiana, at 2 pm on Monday, April 8. David Funeral Home 316 Youngsville hwy. 337-837-9887 is in charge of arrangements. Athletic Network Footnote by Dr. Ed Dugas, April 4, 2019.